Parents, I'm talking to you today! Do you have a picky eater? 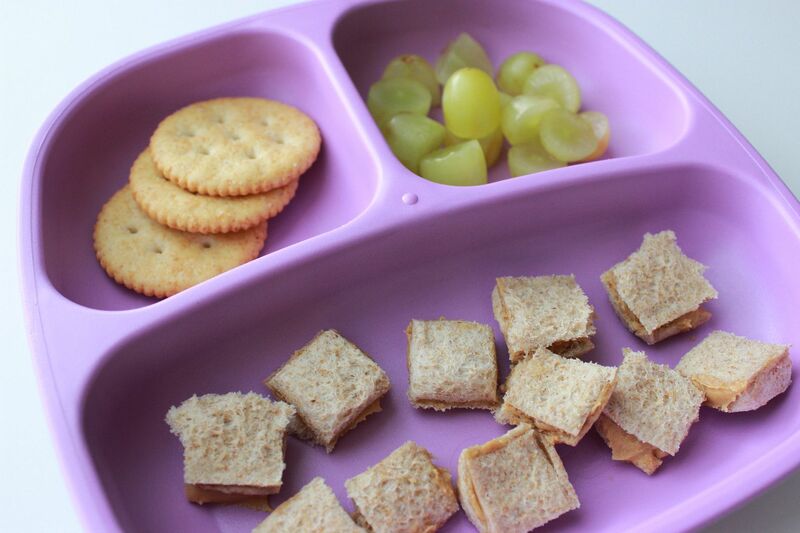 Or perhaps even a child who seems bored with the same old food and you want to put a spin on their meals? Or you might even be like us and want to continue to reinforce the shapes that your child knows. If any of these are you, listen up! I recently started using a really awesome food cutter called Fun Bites! 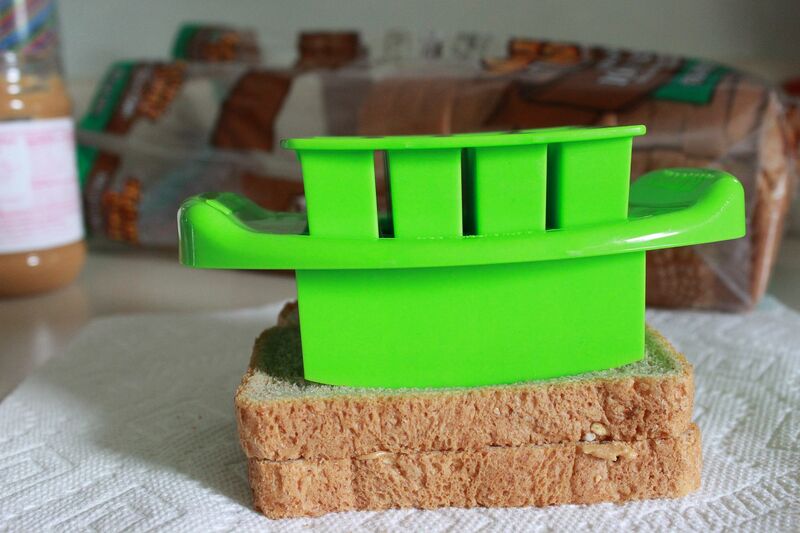 This two piece system cuts your child's food into fun, bite-sized shapes that make it hard for them to not want to devour all of their food. 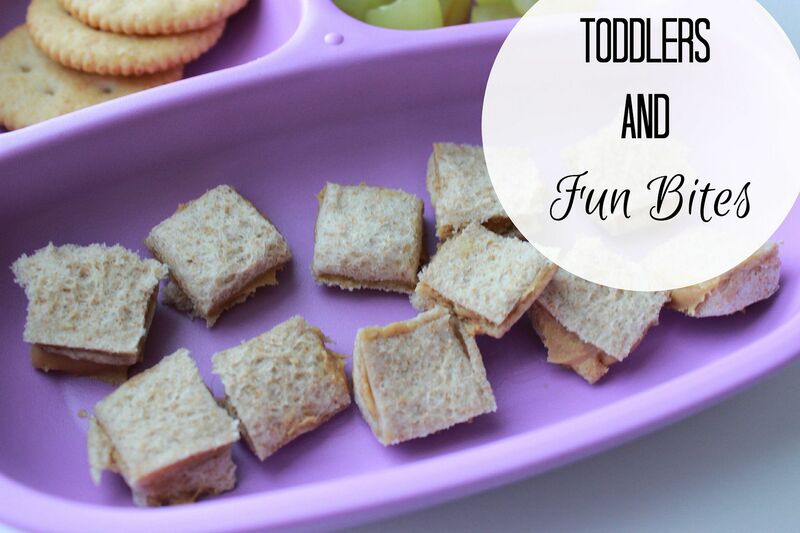 Fun Bites come in squares, hearts or triangles and are the perfect tool to help parents get creative when it comes to meal time. 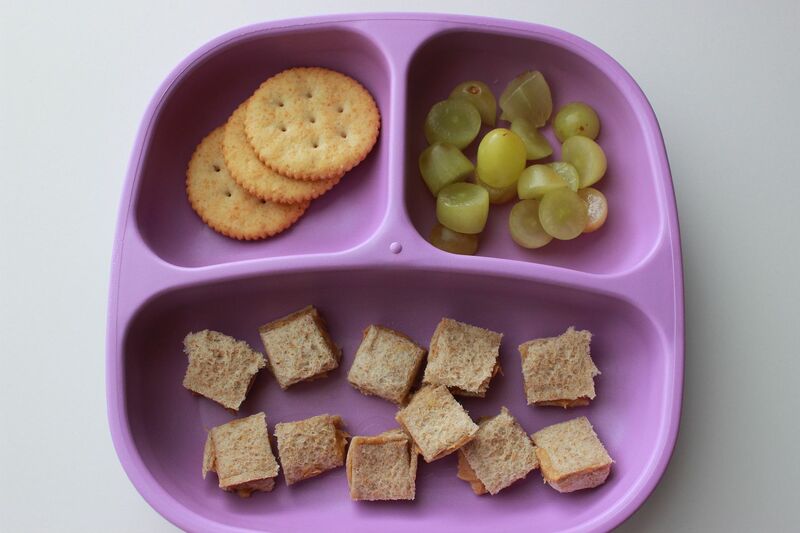 The first time I used our square Fun Bites cutter and gave Baby K her plate, she got really excited and kept saying "square, square, square" over and over again. K has known her shapes for awhile now, but we always try to quiz her on shapes to make sure she remembers. And I love that Fun Bites helps me continue our shape lesson while also getting her excited about eating. Sometimes, K takes awhile to eat her food because she gets distracted or even becomes bored. But thanks to the cute shapes and small sizes, K gobbled her lunch right up. 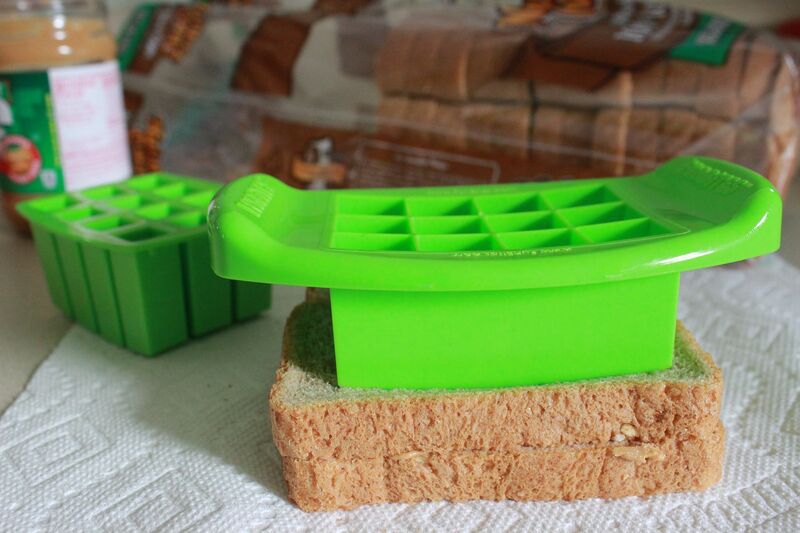 The Fun Bites cutter is very easy to use. All you do is place the cutter on the food you want to cut. Press down firmly, rocking back and forth a few times, making sure you cut all the way through the food. Then you grab the popper top, lift the cutter up from the food, push the popper top down and you have perfectly shaped bite-sized pieces of food in a matter of seconds. I love Fun Bites because it also saves me time when I'm preparing K's food. She is still at an age where I prefer to give her everything cut up in small pieces. Thanks to Fun Bites, I'm able to cut a lot of little squares all in one step! Easy peasy! The cutters also come in some really great colors, making meal time that much more fun! I am sure we will be using Fun Bites for a long time! Besides the perfectly shaped food, I certainly appreciate that my child thinks it is fun to pop the bite-sized pieces in her mouth because they are just her size.